VCCP, the British-founded agency, which launched in Australia three years ago is rebranding, with a new global brand identity to better articulate its positioning as a “challenger agency for challenger brands”. The new identity is based on an illustration of a bear and a boy, designed to represent the agency’s stance of ‘taking on the big beasts’. It was designed in-house and will roll out later this month, replacing the current logo of a simple blue circle with the agency name in white font. VCCP is part of Chime Communications, which was acquired by VC fund Providence Equity last year and has since been building an expansion strategy. The group announced the acquisition of San Francisco-based agency Muhtayzik Hoffer earlier this week to form what Charles Vallance, founder and chairman of VCCP, called an international “micro-network”. He told AdNews while in Sydney that the aim is to form a “genuine alternative” to the larger networks and be a place for challenger brands. Vallance, who is based in London but has been actively involved in the agency’s ING Direct account since it won the business in 2014, believes VCCP needs to be more vocal in this market and bring a bit more “swagger”. “We can’t hide our light under a bushel,” he told AdNews. David Kennedy-Cosgrove, who was promoted to managing director of the Sydney agency last month, said “the time is now” for the Sydney agency to make more noise about itself. ‘Compare the Meerkat’ originally created by the UK agency, but hasn’t been a vocal force in the market here. Globally, VCCP has 850 staff across London, Madrid, Berlin and Prague. It’s adding a further 85 people in the US through the Muhtayzik Hoffer acquisition, with this number set to grow as it prepares to launch a New York office. 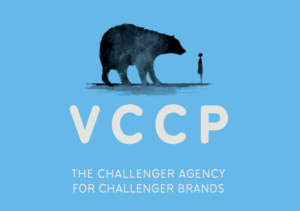 VCCP has built its reputation on working with challenger brands, and Vallance – often described as a contrarian figure – told AdNews that VCCP works well with “brands that have a point to prove”. “We get chipper brands that know their best days are ahead of them. Out clients have become leading brands but we don’t start off with them,” Vallance said. In the UK, VCCP built up Compare the Meerkat and works with budget airline brand EasyJet. In Berlin it works with Airbnb and Spotify. But, Valance doesn’t believe that being a challenger means you have to throw out convention. Many of the brands the agency works with lean towards service rather than product brands, which means a lot of what VCCP works on is customer experience. Kennedy-Cosgrove said: “We’re seeing an interesting commonality amongst these new service brands – key to their success is a level of DIY. If we take Airbnb, ING Direct, IKEA, Trip Advisor, Compare the Market, even Chipotle; there’s a level of self-selection and consumer empowerment involved in the experience. Vallance and Kennedy-Cosgrove agreed that brands “can’t afford to let their guard down” at any point they interact with customers. “The idea is challenge anything – not everything. 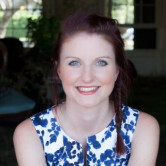 Every interaction with a brand can be a transformation, even the simple things,” Vallance said. VCCP has been in Australia for three years, but largely it has flown under the radar. In the UK, the VCCP brand has been around since 2002 and it’s highly regarded. It was Campaign’s Agency of the Year in 2013 and the most “in-demand” in 2012. In Sydney, where there are so many agencies all vying for the business on the table, it can be hard to cut through, particularly as it is largely known for the 'Compare the Meerkat’ work, which didn’t originate in this market, and meant it was hard to build the agency’s reputation on work that was, initially at least, repurposed for Australia. Its revamped global identity and “a bit more swagger” locally will help tackle that and put VCCP Sydney more on the map. With all the discussion of disruption affecting every category, it’s a good time to be pushing the challenger card, particularly in Australia which has for so long been an economy of duopolies, but is now feeling the impact of a more competitive landscape. VCCP has a heritage of building challenger brands into strong leading brands – UK telco O2 is a case in point. The agency works with Airbnb in Berlin and has a few other challenger/disruptor brands waiting in the wings. If VCCP can leverage that heritage and get the message right in this market, it should be able to carve a niche for itself.